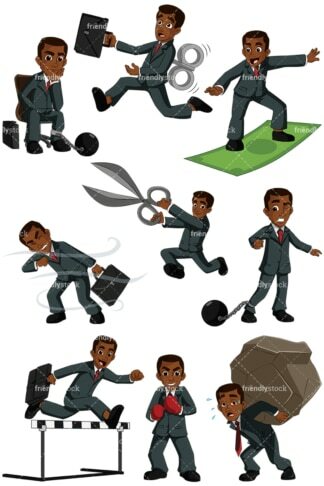 Royalty-free vector illustration of a struggling businessman carrying a a heavy weight on his back. The giant stone is too big for him to carry and he’s wincing and sweating it, but not giving up! 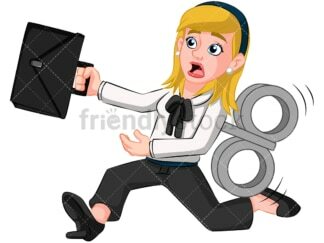 Royalty-free vector illustration of a smiling businessman holding a huge piece of mail. He’s got the envelope in front of him as he holds it with both hands, showing it off. 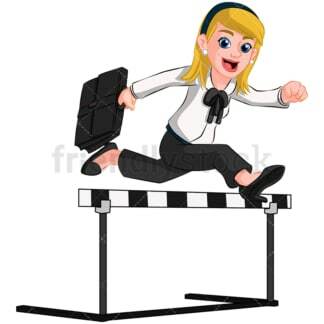 Royalty-free vector illustration of a businessman running and jumping over a hurdle with his briefcase in hand. He’s sweating and rushing but still has a smile on his face. He’s got this! Royalty-free vector illustration of a businessman holding up a checklist that’s attached to a clipboard. He’s got his mouth open as if speaking while he points to the document. Check it off! 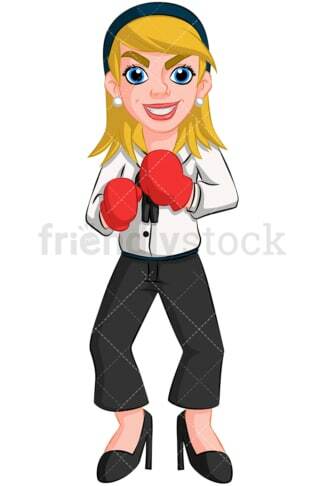 Royalty-free vector illustration of a businessman making an important point. He is pointing upward and has his mouth open as if he’s speaking as he stands with briefcase in hand. Listen up! Royalty-free vector illustration of a businessman leaning against a large clock while speaking. He looks relaxed and has one hand on his hip. Time will tell! Royalty-free vector illustration of a casual businessman holding a big red umbrella over his head. He looks as if he’s waiting for the rain! Royalty-free vector illustration of a businessman fishing for ideas that look like flying light bulbs. He’s using a sizable net and has his tongue sticking out as if he’s making a real effort! Royalty-free vector illustration of a businessman riding a giant arrow that’s taking off high into the sky. His arms are out in the air and his mouth is wide open as if he’s screaming with delight. Up, up, and away!